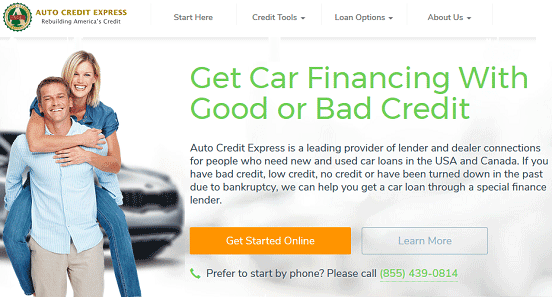 Auto Credit Express Reviews (2019 ) — The Best Bad Credit Car Loans? Auto Credit Express Reviews (2019 ): The Best “Bad Credit” Car Loan? My friend Carol has terrible luck with cars. It seems that every time I talk to her, she’s lost another vehicle, often as a result of mechanical malfunctions — though sometimes due to driver malfunctions. Unfortunately for Carol, her credit is usually in worse shape than her last car, making it a challenge for her to afford a more mobile automobile. If, like Carol, your credit has put the brakes on financing a new car, chances are good you’ve spent time Googling (or Binging, or Yahoo-ing) your options — which means you’ve probably seen Auto Credit Express just about everywhere. 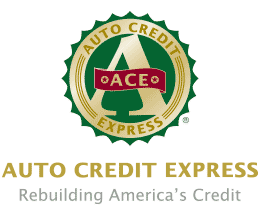 In operation since 1999, Auto Credit Express has almost two decades of experience helping poor-credit consumers find the right financing to get back on the road. When Rich LaLonde started Auto Credit Express nearly 20 years ago, his goal was to provide critical auto financing to subprime consumers, while still maintaining a customer-first environment. Over time, he built a vast network of dealership and lending partners willing to give these consumers a second chance at finding (and financing) a quality car. It’s that huge network — over 1,200 partners strong — that is at the heart of Auto Credit Express’s success connecting poor-credit consumers with lenders willing to take a chance. Many Auto Credit Express partners have flexible credit requirements, accepting applicants with tarnished or limited credit, and even bankruptcies in some cases. Auto Credit Express has partners from across the US, with locations in all 50 states, as well as throughout each Canadian province. And the company is always reviewing, training, and adding lending partners — which is why Auto Credit Express has the largest selection of subprime car dealers and lending options in the country. The actual application process is streamlined through Auto Credit Express, as well. With a single online application that can be completed in just minutes, you can receive multiple loan offers from a variety of lenders. In fact, the network helps an average of 13,000 customers a month get the financing they need to keep on truckin’. Auto Credit Express users can connect with over 1,200 lending partners to find the best fit for their individual credit and income situation. One thing to note about signing up with Auto Credit Express is that you will be presented with the option to receive additional offers from other vendors, which you can choose to opt-out of joining. You will also receive an optional offer after you’ve submitted your application to signup for a credit score monitoring service, which you may also decline. 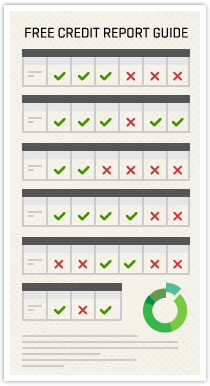 Some reviews do suggest it can be hard to spot how to decline these options, so be aware. Beyond financing, the company’s site offers a range of tools and educational resources designed to help consumers make better financial decisions. For example, the auto loan monthly payment calculator helps you determine how much car you can really afford. Additionally, the Auto Credit Express blog provides helpful advice on everything from maintaining good credit to maintaining good driving habits. When looking at the general interweb consensus, it’s clear that many customers are happy with the service — and financing — that Auto Credit Express delivered. Most of the reviewers seem to be excited to find the financing they need and couldn’t find elsewhere. Indeed, with reviews from people like Gina, it’s no wonder Auto Credit Express has a 4.44-star (out of 5) rating from the Better Business Bureau (BBB) reviewers — and an A+ from the BBB itself. However, it’s not just the BBB’s users who have some love to share for the lending network; hundreds of TrustPilot reviewers have given Auto Credit Express a 4-star TrustPilot rating, to boot. Of course, no company is typically without any negative reviews. Many of the negatives tend to be from consumers who didn’t understand the process — i.e., that Auto Credit Express is not, itself, a lender — as well as reviewers who had trouble contacting a customer service associate. A few negative and neutral reviews centered on the additional offers that are part of the signup process, particularly by customers who didn’t realize they could opt-out of the offers. As noted above, to avoid accidentally signing up for something you don’t need, you may want to read carefully as you apply (which isn’t a bad idea for any legal agreement you intend to enter, financial or otherwise). Although every individual’s experience may vary, the reviews suggest that, so long as you understand what, exactly, Auto Credit Express does — and how to opt-out of the additional offers — you can likely look forward to a positive car-buying process. Luckily, if you’re unsure what to expect, you can simply read the next section to get an idea of how the Auto Credit Express process works. As you might expect, buying a car with the help of Auto Credit Express is a little different than were you to get your financing directly from the bank. First, you don’t need to pick out a car before you apply with Auto Credit Express. Instead, you’ll head online — or call the Auto Credit Express customer care line to speak to a representative — to fill out your three-minute application. You’ll be asked for some personal information, such as your name and address, as well as basic employment and financial data, including your current occupation and monthly income. After you complete the application, you’ll be connected with a local dealer from the company’s partner network. Auto Credit Express will help you find the partner with the best pre-approval financing options for your specific credit profile and income level, then put you in touch. You’ll be invited to meet with the partner’s finance expert in person to work out the details of your offer — and to select your new vehicle. In many cases, customers can secure financing and drive away in a car they own all in the same day. For consumers with good credit, buying a new car can be an exciting experience, full of potential — and new car smell. Unfortunately, for those struggling with credit, like my friend Carol, the idea of having to buy a new car can be one full of stress and anxiety, driven by the challenge of first finding a lender willing to extend the financing necessary for a decent vehicle. With the top rating from the BBB and hundreds of positive consumer reviews, Auto Credit Express appears to be a good choice for finding auto lenders with flexible credit requirements. Indeed, had Carol known about Auto Credit Express when she needed financing, she may have avoided the string of clunkers that have cluttered up her driveway one after another.